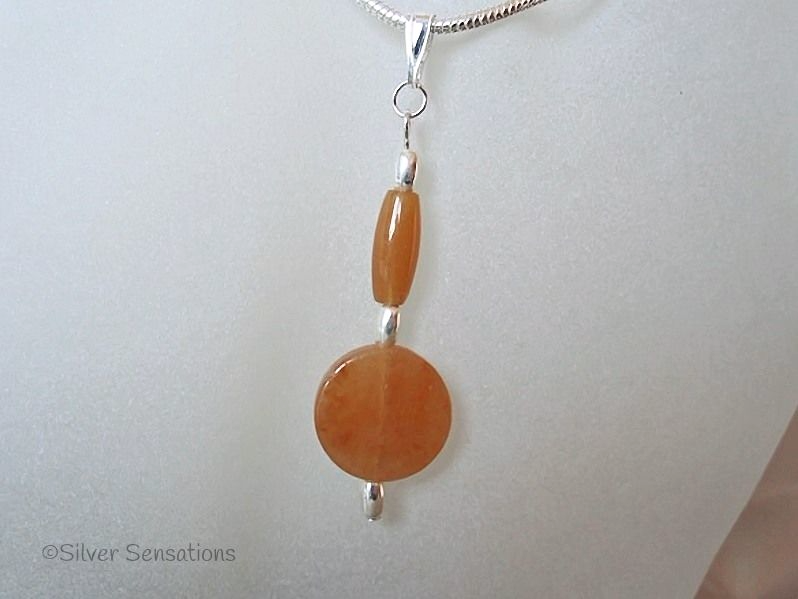 This uniquely designed, handmade pendant an orange Red Aventurine 15mm flat coin bead with a matching rice shaped bead in the same colour. The oval shaped beads are Sterling Silver and the pendant hangs from a Sterling Silver headpin, jump ring and pendant bail. 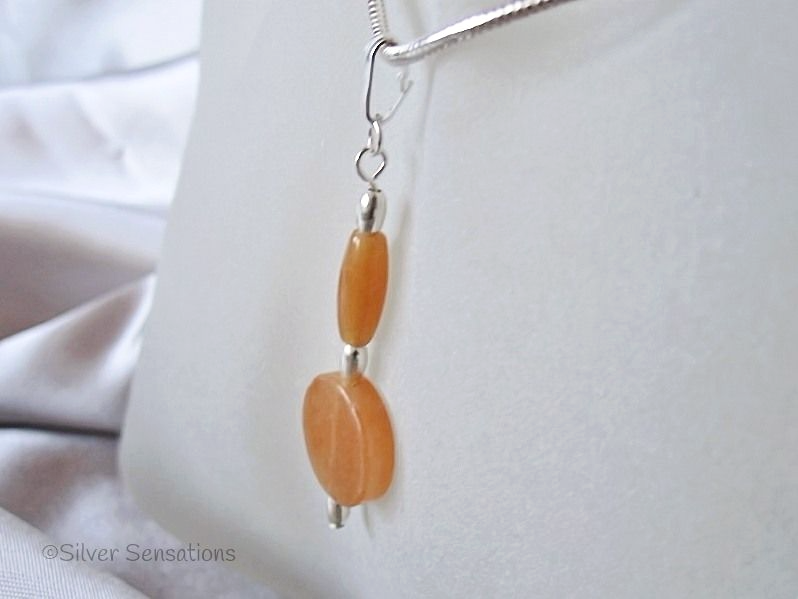 The overall length of this pendant is 55mm, so is an easy length to wear at any time.